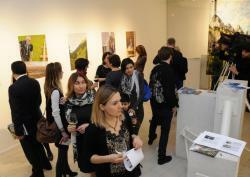 Works of Azerbaijani and Swiss photographers have been showcased in Baku. A joint photo exhibition of Mr. Cedric Christopher Merkli’s "Cheese distribution in Justistal" and Elmar Mustafazade’s "Masters of Craft" has opened at the Modern Art Museum on January 23. 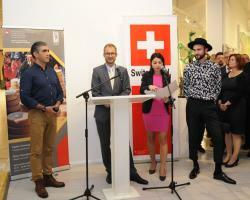 The event was organized by the Embassy of Switzerland in Azerbaijan, Azertag reported. Swiss ambassador to Azerbaijan Philipp Stalder hailed cooperation between Azerbaijan and Switzerland in the cultural sphere. The Ambassador pointed out that this month was fruitful in terms of diplomatic relations between the two countries. 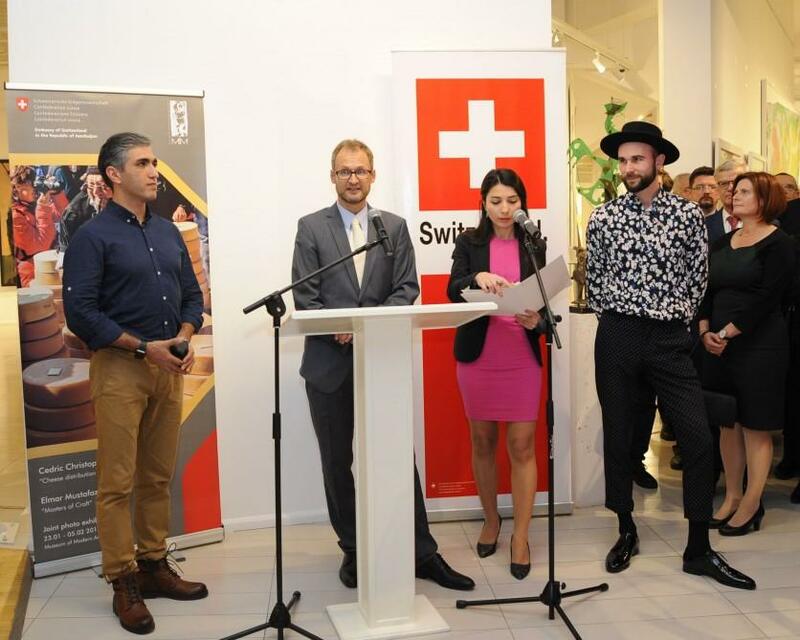 The diplomat stressed the importance of the event as it brought together Azerbaijani and Swiss artists. "This is really a joint project. This is our first collaboration with the Azerbaijan Museum of Modern Art and is the fruit of our discussions with the director of the museum, Khayyam Abdinov. I express my gratitude to the museum and its leadership," he added. 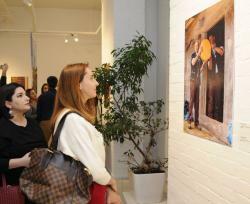 At the event, both photographers spoke about the exhibition and thanked the relevant organizations for their support. 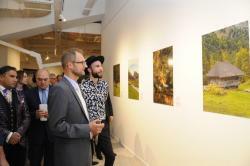 Then the guests got acquainted with the exhibition. 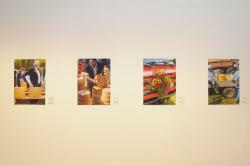 The photos of Mr. Merkli are the celebration of an antique tradition of the farmers from the Swiss Alps. It shows the steps of a 300 years old cheese distribution ritual called "Chästeilet", celebrated every fall in Justistal. Works of Mr. Mustafayev present old and traditional craftsmanship in Azerbaijan. They are dedicated to the masters of handicraft art and promote the heritage of the ancient Azerbaijani art. 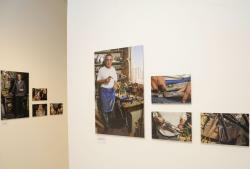 The exhibition will be open for visitors until February 5. Baku Museum of Modern Art houses one of the most influential collections of contemporary art in Azerbaijan. The iconic museum has been drawing contemporary art lovers since it opened on March 20, 2009. The museum was built at the initiative of the First Lady of Azerbaijan, Mehriban Aliyeva. It was funded by the Heydar Aliyev Foundation. Over 800 works by notable Azerbaijani painters and sculptors, particularly avant garde art of the 1960s and 1970s are collected here. Baku Museum of Modern Art gives a possibility to get acquainted more closely with peculiar works of such artists, as Rasim Babayev, Ashraf Murad, Gennady Brejatjuk, Fazil Najafov, Mamed Mustafaev, Aga Oussejnov, Ali Ibadullaev, Mir-Nadir Zeynalov, Fuad Salayev, Farhad Halilov, Darvin Velibekov, Eldar Mamedov, Mikail Abdurahmanov, Museib Amirov, Mahmud Rustamov, Huseyn Hagverdi, Eliyar Alimirzayev, Rashad Babayev, Altay Sadikh-zadeh. 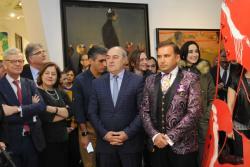 At the same time, art lovers can get familiarized with works of Azerbaijan classics of figurative art Sattar Bahlulzade, Tahir Salakhov, Mikail Abdullaev, Huseyn Aliyev, Tagi Tagiev, Nadir Abdurahmanov, Elmira Shahtahtinskaya, Nadir Kasumov, Oktay Sadikh-zadeh, Tokay Mamedov, Togrul Narimanbekov, and Omar Eldarov.